The LSE Religion Scholars Network is an interdisciplinary group of LSE PhD students and early-career researchers working on a broad range of topics related to the social and political scientific study of religion. 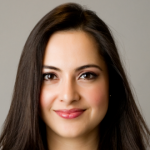 Fatima Ahdash is a 3rd year PhD candidate in the Law Department and a family law GTA. Her research looks at the recent interaction between family law and counter-terrorism in the UK, looking in particular at the radicalisation cases in the family courts. She also works with the human rights organisation Rights Watch UK, researching the gendered impact of counter-terrorism laws, policies and practices. For fun, she sometimes writes about Muslim identity, Muslim family relationships and feminism for Amaliah, a Muslim women’s magazine. She has written for the LSE British Politics and Policy blog and the journal Child and Family Law Quarterly. 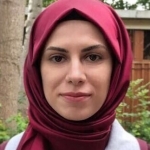 Nihan Albayrak is a PhD candidate in the Department of Psychological and Behavioural Science at the LSE, sponsored by the Turkish Ministry of National Education. Her PhD research examines the social psychological factors that affect individuals’ attitudes, intentions, and behaviours of helping refugees. In doing so, she looks at how social identities such as religious identity elicit helping responses among different groups of people through perceived similarity with refugees. Her other research interests include equality, diversity, and inclusion in academia and academic knowledge. 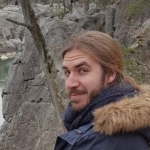 Miguel Alcalde is an ESRC-funded PhD candidate in the Department of Anthropology at LSE. He recently completed twenty months of fieldwork in Zagreb, Croatia, mainly among practitioners of hagiotherapy, a spiritual development and healing practice. His doctoral thesis explores the cognitive and socio-cultural aspects of hagiotherapy as well as the ways in which the community of practitioners engages with the political landscape in Croatia. More broadly, he is interested in religious and non-religious practices of self-development, the cognitive mechanisms that underpin these practices, and the ways in which they interact with the individuals’ subjective experience and social lives. 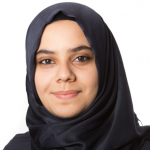 Amena Amer is currently a PhD candidate in Social Psychology examining the racialisation of Islam and its effects on the construction, negotiation and performativity of identity on white Muslims in Britain. Her research interests focus on identity, religion, agency, power and societal change, particularly in exploring religious and cultural representations and identities among the Arab diaspora and Muslims in Britain. She has previously worked in organisations dealing with documenting anti-Muslim hate crime in the UK, as well as in organisations researching contemporary social issues affecting the Arab and Muslim diaspora in the UK and Europe. Dr. Sarah Ashraf has recently completed her PhD at the LSE from the International History Department. Her thesis titled ‘Of Military and Militancy: Praetorianism and Islam in Pakistan,’ investigated the relationship between the dominant Pakistani military establishment and Islamist militancy. Currently based at the Institute of Strategic Dialogue, as Manager (Research & Policy), she has worked with both UK and overseas governments, military, intelligence, and not-for-profit sectors. She has published and presented several research projects focusing on Islamism in South Asia and has a deep understanding of the complex causality underpinning contemporary, transnational Islamist movements. She also taught the Arab-Israeli conflict in the History Department for several years, currently teaching the cross-disciplinary LSE100, and recently honoured with the LSE Excellence in Teaching Award for her work. She is fluent in five languages: Urdu, Hindi, English, Pushto, Punjabi and is also able to read Arabic. 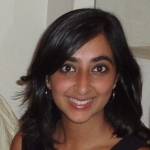 Kiran Bhogal is studying for a PhD in the Department of Anthropology. Her interests include ritual theory, publicity, religious radicalisation and education and the Sikh faith. Gareth Breen studied anthropology at UCL before starting his PhD in anthropology at the LSE in 2013. He is now writing his thesis on transnational Christianity in Taiwan. 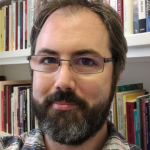 His research interests include Chinese and Taiwanese histories, religious experience and urban living, rhythm, metaphor and social epistemology. 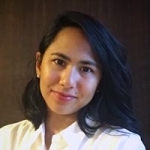 Meghan Rose Donnelly is a PhD candidate in anthropology at LSE focusing on subjectivity, spirituality, and self-becoming with an Indonesian order of Catholic nuns. Drawing on her experience as a theatre artist, Meghan Rose experiments with playmaking as research methodology, mobilizing the body as epistemological origin to understand who we are, how we’ve become so, and who else has had a hand in our making. 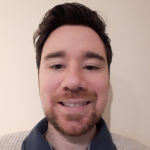 Alex Fry is currently writing up his doctorate in the Sociology of Religion at Durham University, where he is based in the Department of Theology and Religion. He also teaches undergraduate students across the school on the LSE 100 programme. Prior to this he held teaching and research assistantships at Durham University, both in the Department of Theology and Religion, and in the Centre for Death and Life Studies. His research is multidisciplinary and currently explores the historical, social, and psychological influences on people’s religious beliefs. In particular, his doctoral thesis explores how the religious traditions, social influences, and psychological processes of the clergy contribute to their theology of gender roles. More specifically, it seeks to understand the origins of the attitudes that male Anglicans present towards women’s ordination in the Church of England. Anne Irfan is a historian of the modern Middle East, specialising in the study of the Palestinian refugee camps. Her PhD, recently completed at the LSE, examined the historical relationship between the UN and the Palestinian nationalist movement in the camps. She is currently a Teaching Fellow in Middle Eastern History at the University of Sussex, as well as a LSE Guest Teacher in International History. 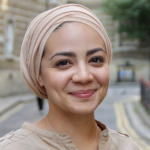 She has contributed pieces to the LSE Religion & Global Society blog, as well as The Conversation and Your Middle East. She has also spoken on several occasions at the UK Parliament in Westminster, and the UN Headquarters in New York, on the situation facing Palestinian refugees in the Levant today. 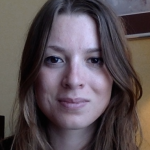 Judith Jacob is a PhD candidate in the Department of International History at the London School of Economics (LSE). Her doctoral thesis traces the ideological developments of militant Islamist groups in post-colonial Indonesia. Prior to beginning her doctorate, she worked as the lead global terrorism analyst at the Risk Advisory Group in London. She continues to work as a private consultant and security analyst for several leading political and security risk firms. Hosna Jahan is a second-year PhD candidate in the Department of International Development at LSE. She is a recipient of the LSE PhD studentship. Her thesis titled “Veiled choices” investigates Muslim women’s practices of veiling and how it impacts their capabilities to participate in workforce and education. Prior to that, she was a Gates-Cambridge Scholar at the University of Cambridge, where she read MPhil in Development Studies. She obtained her undergraduate from the University of Sydney majoring in Chemistry, Political Economy, and Government and International Relations. She has taught courses on Development in the International Political Economy, and Trade, Development, and the Environment in LSE Summer School. She has worked as a Senior Research Associate at the Centre for Policy Dialogue (CPD), Bangladesh. She has co-authored a book on women’s economic contribution in Bangladesh. She has also published in various academic journals, blogs and newspapers. Her research interests include gender and economic development, political Islam, capability approach, microfinance, poverty, political economy of development. Anishka Gheewala Lohiya is a PhD candidate in the Department of Anthropology at LSE. Her current interest is the changing landscape of prayer across diasporas, specifically in Hindu sects, though with a wider interest in religion more broadly. Exploring themes such as play, learning religion and universality of categories, her other interests include the relationship between the environment and religion and notions of care and care-giving. Her fieldwork was in Gujarat, India and Leicester, UK where she spent much time doing anthropology and eating Indian food. 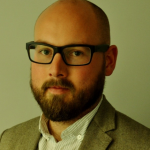 Julian Göpffarth is a PhD candidate at the LSE’s European Institute and a ECR Fellow at the Centre for the Analysis of the Radical Right. He is working on intellectual support for the populist far right in East Germany, the ideological transformations informing it and the role intellectuals play in legitimising the far right. Julian focusses on the far right’s representations of the past, present and future as well as the discourse on spirituality in cultivating an alternative understanding of nationhood. He is specifically interested in how these representations are used to mobilise elite support. 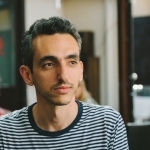 For his research Julian is relying on political theory, philosophy and ethnographic fieldwork. Julian has written numerous articles on the German far right, the AfD and the role intellectuals play in it as well as German politics more broadly. William Matthews‘ research concerns the relationship between cognition and cosmological beliefs, with an ethnographic focus on China. His primary theoretical interest is in understanding the mutual influence and constraints of cosmology and individual cognition, in terms of how cosmological beliefs come to be variably understood and distributed. 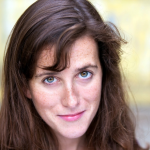 Lindsay Simmonds studied for several years at two seminaries in Jerusalem, and is a graduate of the London School of Jewish Studies (LSJS) Susi Bradfield Women Educators’ Fellowships. She is a member of the Cambridge Co-Exist Leadership Programme which promotes respectful, deep and long-lasting friendship and collegiality between faith leaders in the Christian, Jewish and Muslim communities in the UK, and is involved in several national and international interfaith projects. She is a faculty member of the LSJS where she has lectured, written and convened courses for almost 20 years, focussing on women in Biblical narrative and women in Jewish Law and the Talmud. She speaks at national and international conferences on Judaism and Gender, and is involved in several UK projects promoting orthodox Jewish women’s ritual participation and leadership. She is completing her PhD at the LSE’s Department of Gender exploring agency in the lives of British orthodox Jewish women.